Right about now temperatures are reaching scorching new highs. We’re guessing the last thing you want to do is heat up your kitchen to prep healthy, bariatric approved meals. We don’t blame you. Tis the season for outdoor entertaining; what better way to take advantage of hot summer nights than with an all out BBQ? With a little know-how you’ll find that you can enjoy the fruits and flavors of summer while still following your bariatric guidelines. 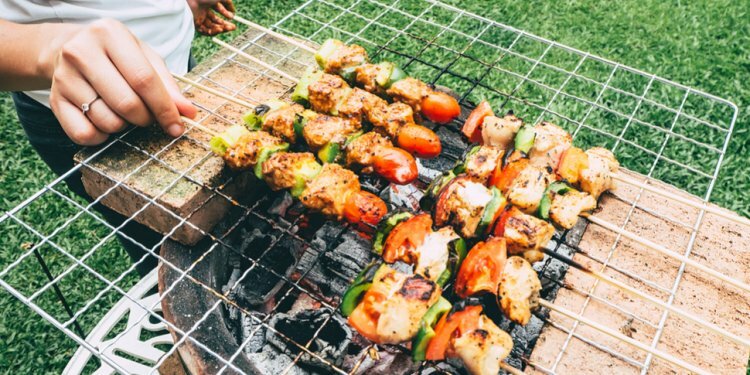 So what are the best bariatric-approved BBQ ideas for summer? Pick lean meats. After bariatric surgery you will have to swap fatty meats for leaner cuts. Grilling lean proteins like chicken, pork chops, or certain steaks to juicy perfection can require a change in how you prep meat. Marinating or brining can moisturize meat to prevent drying while on the grill. Also, keeping the grill closed creates a moist, smoky environment that can keep meats tender and flavorful. Get seasoning savvy. If smothering your BBQ in sauce was your go-to method before bariatric surgery, consider a change in flavor. Instead of sugary sauces, rub meats with low-calorie seasonings, marinate cuts in herbs and lemon (or any) juice, or lightly coat meat with olive oil and fresh herbs. A good marinade or rub can make the need for dipping sauces obsolete. Grill unconventionally. Think the grill is just for meat? Think again. The grill can whip up all kinds of bariatric goodies, including grilled or steamed veggies, or grilled firm fruits like peaches or pineapple for desert. Swap sweet drinks. There are so many recipes for flavored waters or unsweetened iced teas online. Pop over to Pinterest and you’ll discover tasty combinations like pineapple-mint or berry-orange infused waters that easily replace sweet teas and lemonades. Summer cooking can be a lot of fun as you discover new recipes and techniques for healthy, satisfying meals. Don’t be afraid to search the web for ideas from people just like you who are in the process of losing weight after bariatric surgery. Take advantage of resources like Pinterest, recipe sites, or blogs that feature bariatric-friendly recipe ideas. The more you experiment, the more you’ll enjoy your new bariatric lifestyle.